This is the nectar flavor in a pre-filled tank by Vuse. Originally formulated for use with the Vuse Vibe Kit. This two-pack of pre-filled Nectar tanks contain a rich and powerful summer fruits e-liquid. The Nectar flavor incorporates exotic fruits in a perfect blend. 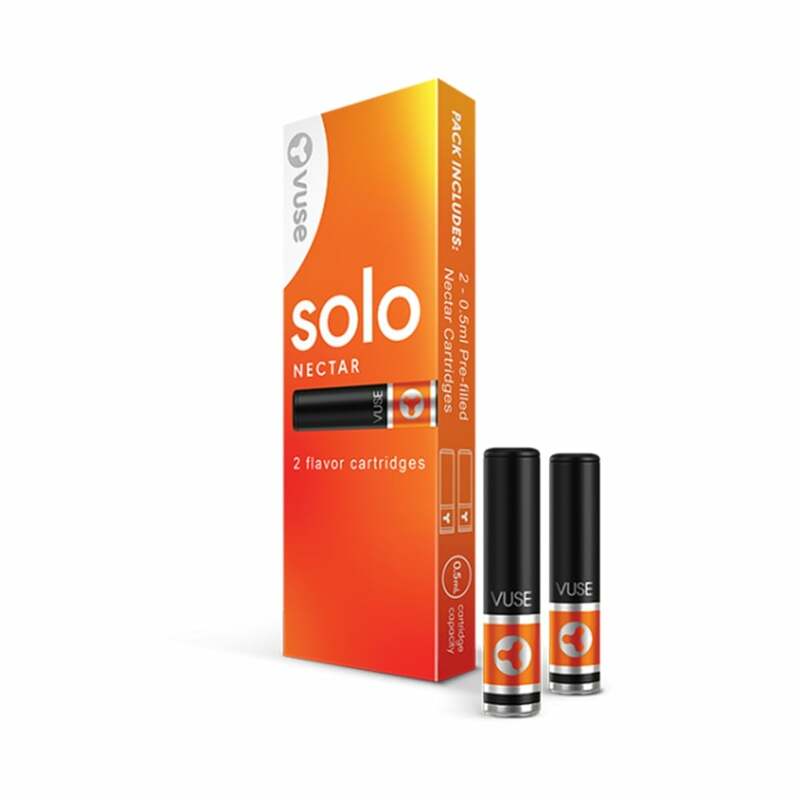 Note: These cartridges are for the VUSE Solo kit only. They will not work with any other type of e-cigarette. Not at all like the Vuse Vibe Nectar flavor. It's harsh and I dont' care for it. I’m so happy I found them. The product is way better than the ones I buy locally. They’re usually defected. All the cartridges I purchased here worked perfectly. And the price is unbeatable. Definitely will use them from now on. Cartridges don't last long. 1 day. A hint of nectar and a very good product.